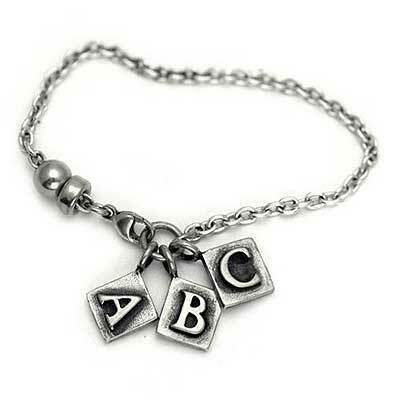 Personalised Silver Charm Bracelet : LOVE2HAVE in the UK! 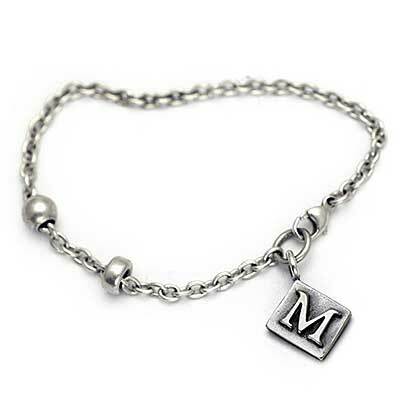 Meticulously and individually handmade in the UK this personalised charm bracelet consists of a sterling silver chain with two individual charms. 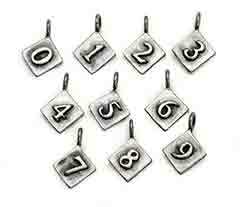 The sterling silver charms have a lovely street look with their oxidised silver finish contrasting with the embossed grungy typewriter style typeface. They are square shaped, measuring about 7mm across. The chain is a delicate 1.7mm open link trace chain with two beads, one oval and one round, that slide around the bracelet. 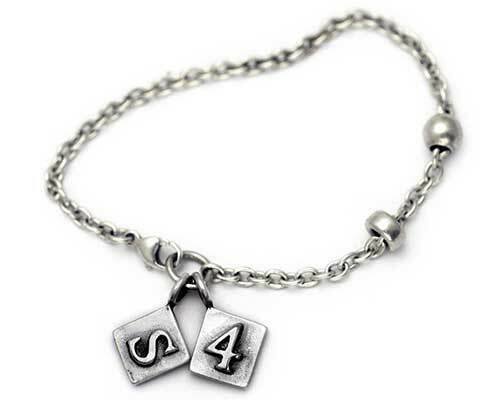 The lobster clasp fits securely onto a silver ring holding the two charms in place also. 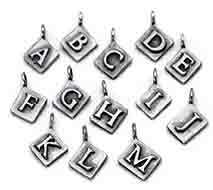 The standard chain length is 7.5 inches, but we can provide any other size if you wish together with additional charms, just email us for further details. Once you have ordered this piece, we will contact you upon processing your order via email to ascertain which two letters and numbers you require. However, you may enter this information into the comments box at checkout if you so wish. 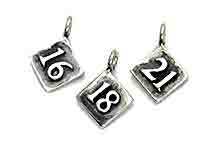 As pictured additional charm letters and numbers can be added. Please contact us for further details.